The single most important marker of a good prostate supplement is the amount of total sterols it contains. The lab report shows it has 73.5mg. This is an sub-average score. Look at the scores of the products in the Top 5 – they score significantly higher on lab tests. . 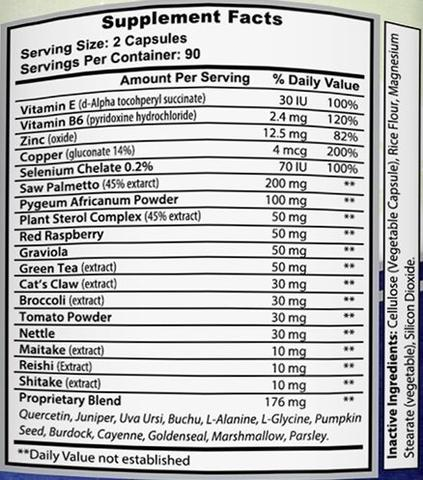 This product is honestly a waste of money since it doesn't have a high enough dosage of sterols, and still well outside the Top 10..